WAREHOUSE SECURITY GUARDS – 4 BIG REASONS WHY THEY ARE IMPORTANT! Warehouses are high-risk targets for criminals. Thieves on the hunt for high dollar items to steal and resell often view warehouses as the ideal locations for their illegal pursuits. Without professional warehouse security on the premises, you invite in this element and put your staff and your inventory at risk. You can protect your property, employees, and the goods you store in your buildings by hiring professional security services to patrol, guard, and respond to emergencies in your warehouse around-the-clock. What services can professional security guards offer you and your property? Primarily, they can be present to keep your employees safe. You may be able to afford inventory to theft; however, you cannot replace the lives of employees who are harmed during a burglary on your property. Rather than risk the safety of a single staff member, you can protect your workers and lower your own liability by hiring security services to protect the people who work inside of your warehouse. The presence of security guards also will give your employees the peace of mind in knowing that they will remain safe while they work. If they believe that they are vulnerable to being mugged or robbed during the time they are on your commercial property, they may be unable to carry out their work duties. 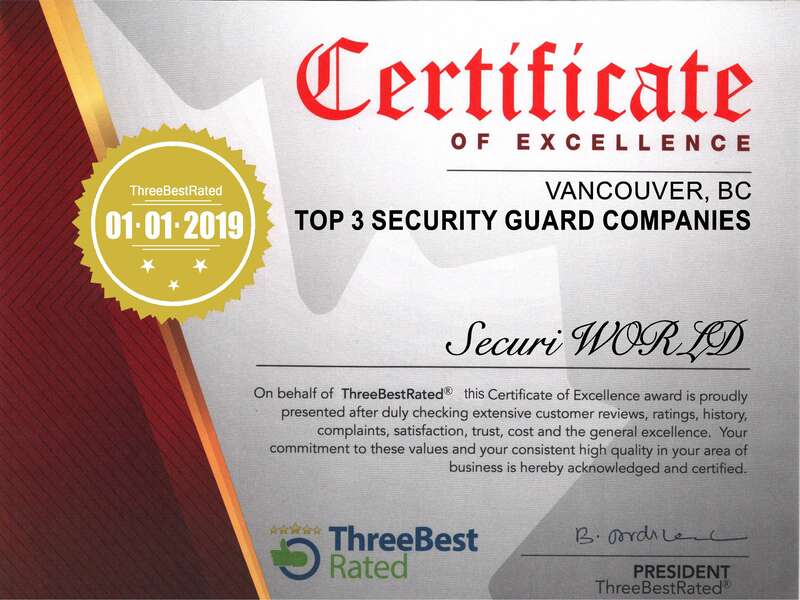 When you want to assure them that they do not always have to check over their shoulders for danger, you can accomplish this important goal by having uniformed and armed security guards in the warehouse with them. While your warehouse may be targeted by thieves outside of your company, it can also be compromised by employees who want to steal from you. You may be unable to watch every employee during the various shifts in operation in your warehouse. Without proper monitoring, employees with ulterior motives may find the opportunity to steal inventory or work equipment, causing your company to take a hit to its bottom line. With professional security guards on the premises, however, employee theft can be kept to a minimum allowing you to avoid expensive financial and property losses. When guards witness workers stealing from you, they can take immediate measures to recover the stolen property and have the individuals prosecuted to the fullest extent of the law. Along with physically being present on the warehouse floor during each shift, the guards that you hire can also monitor closed-circuit TVs, videos, and other surveillance equipment that can be strategically placed throughout the warehouse. This equipment lets them see what is going on at all times in your building without having to walk around the warehouse premises or stand next to your employees as they work. These preventative measures can help you recoup money that you may have previously lost to uncontrolled employee theft. It also lets you focus on running other important aspects of your business like customer service without having to keep an eye on your staff as they work. The security professionals that you hire to protect your warehouse can also serve as ambassadors of your company. When visitors or new staff members cannot find who or what they are looking for upon arrival, they may ask for directions from the uniformed security guards who are manning the gates, doors, and other points of entry to the warehouse. They gain the first impression of your company, your premises, and you as the company owner from the guards who interact with them. warehouse security guard As such, you want security pros who are more than ready to protect you, your staff, and your inventory at all costs. However, you also want guards who are confident, assertive, and even friendly to the public. They do not have to be rough and ready to fight whoever approaches them. Rather, you want them to be professional yet courteous, knowledgeable, and firm in their answers. This show of confidence and assertion can not only give the public a great first impression of you and your company. It also can stop would-be thieves and burglars in their tracks. When they realize that the security guards manning your warehouse’s points of entry know every inch of the property better than perhaps anyone else who works there, they may be dissuaded from trying to break in and steal from you. They know that their actions are being watched and that your security guards will stop at nothing when it comes to locating them inside the warehouse and recovering your lost property. Finally, despite your best efforts to keep your warehouse safe at all times, you must be ready to respond to emergencies as they arise. You never know when a crisis will occur or when danger will read its proverbial head. If or when disaster strikes, you and your staff must be ready to act. Many security guards are trained in basic first-aid like CPR, wound care, and other medical attention to keep sick or injured people stable until an ambulance arrives. Additionally, they can keep emergencies to a minimum by checking the identifications of all people who want to come in and out of the warehouse including employees, vendors, delivery personnel, and others. Anyone who does not have the proper credentials to enter the warehouse can be turned away at the door or gate. Restricting access to the warehouse can greatly minimize or eliminate the danger that comes with allowing unauthorized people who are not employed by you or have legitimate business to conduct within your warehouse.